Turkish Airlines is the official airline of SIPS 2015 and special discounts up to %20 are offered on certain booking classes. In order to proceed with the online booking tool for Turkish Conventions please visit the Turkish Conventions website https://www4.thy.com/TKC/app/delegate?execution=e2s1 and use the event code 110TKM15 under delegate section. The airlines of SKYTEAM offer attractive airfares for participants. 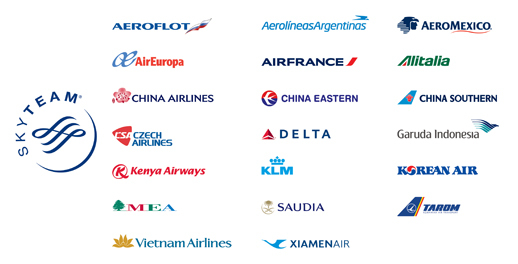 SkyTeam comprises 20 leading international airlines: Aeroflot, Aerol�neas Argentinas, Aerom�xico, Air Europa, Air France, Alitalia, China Airlines, China Eastern, China Southern, Czech Airlines, Delta Air Lines, Kenya Airways, KLM Royal Dutch Airlines, Korean Air, Middle East Airlines, Saudia, TAROM, Vietnam Airlines and Xiamen Air, serving 1,052 destinations in 177 countries with over 16,323 flights daily. To benefit from these special offers, link up with www.skyteam.com/GlobalMeetings and quote the Identifier Code. Through this site you can also access the schedules of all SkyTeam partners to plan your flights on the airline of your choice. Discounts of 2 to 15% for the summit participants. Special Rates are guaranteed by Air Canada for all attendees of the summit. To book a flight the attendees need to access www.aircanada.com and enter the following promotion codes in the search panel. Business Class (flexible) =12% discount; Business Class (lowest)* =12% discount; Latitude = 10% discount; Flex =10% discount; Tango =10% discount. Special Rates are guaranteed by AIR FRANCE-KLM for all attendees of the summit. To book a flight the attendees need to access Air France - KLM and enter the following Event ID. Attractive discounts on a wide range of airfares up to -47% on all Air France (on the lines of metropolitan France (including Corsica)) and KLM flights worldwide subject to conditions. Prices are in EURO and include personalized Meet & Greet & bottled water on board. Prices are for one way transfers. ODS Turkey will set up a hospitality desk in the lobby area of the hotel; to assist the participants with anything they may need. Citizens of many countries do not need advance visas to enter Turkey for conference or tourism. Advance visas may be needed for some other countries whose citizens have to follow the simple procedures as outlined in the Turkey Consulates/Embassies in their country or covering geographical area. 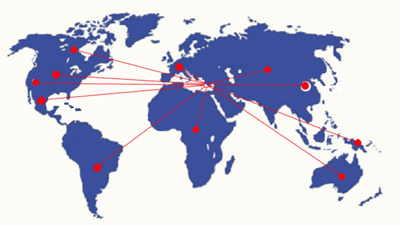 A list of the Turkey Consulates and Embassies are given below along with a hyperlink to their web Sites. 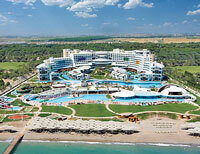 Generally it is a very simple procedure to obtain a conference or tourist visa for Turkey.